If you’ve ever dabbled in gluten-free, paleo or clean eating, then you’ve probably heard of an oblong winter squash called the spaghetti squash. The spaghetti squash is commonly suggested as a pasta substitute for specialty diets or as a carb-cutting trick. 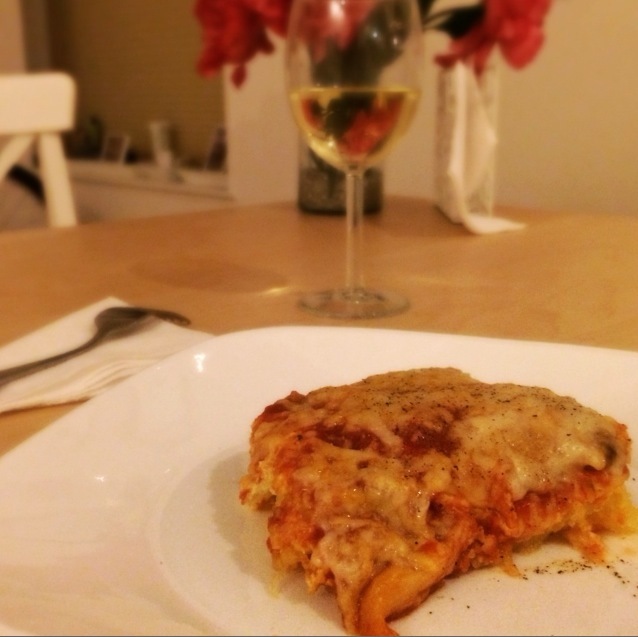 The stringy, buttery and tender texture of the squash makes it an easy swap. As you scrape out the yummy insides, it even LOOKS like pasta (of the rice or angel hair variety). 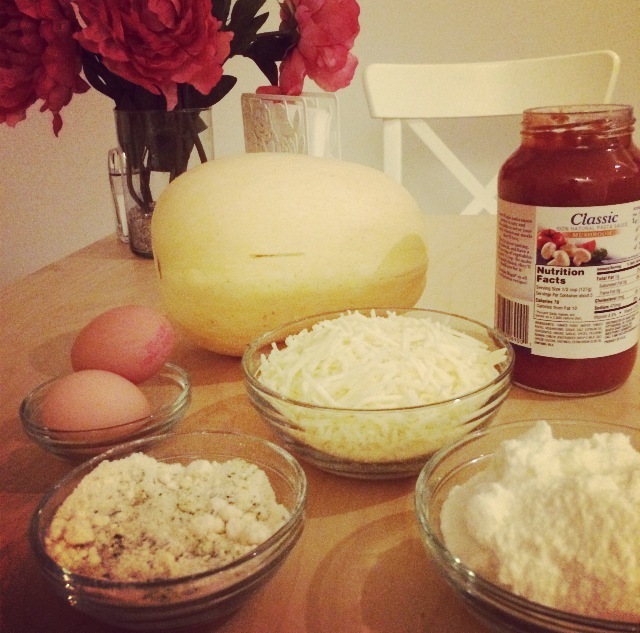 Here’s the first of two spaghetti squash recipes I plan to feature in the coming weeks. 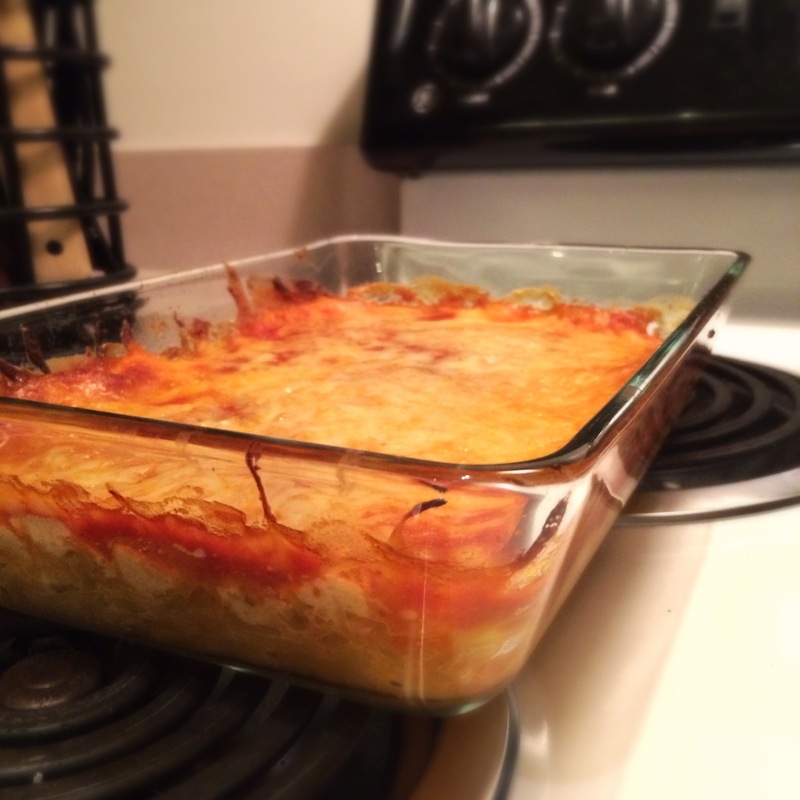 It’s a spaghetti squash take on traditional lasagna, and it’s delicious! It’s also easy to freeze and store for later! Bonus! 2. 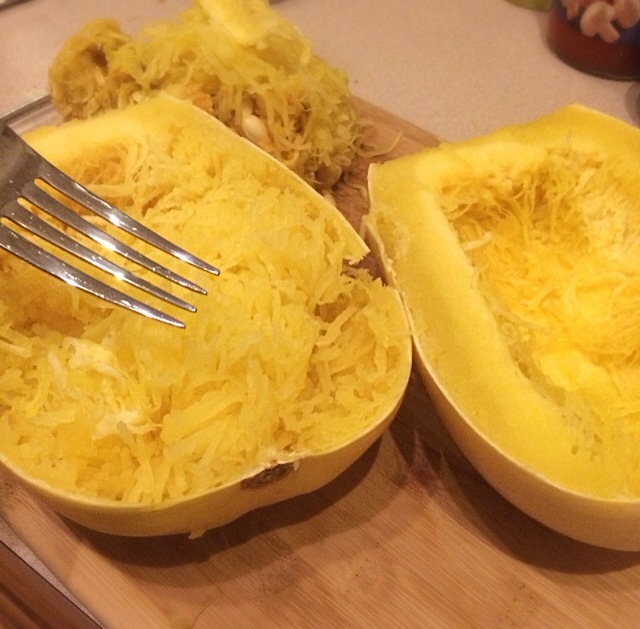 To prep the spaghetti squash, use a large knife to poke 10-12 holes around the squash. This will allow the squash to vent as it cooks. Place the squash in the microwave and cook for 6 minutes on each side. Let sit in the microwave for a few additional minutes. 4. In a lightly greased pan, spread squash as the first layer. 5. In a medium bowl combine ricotta, herbs, parmesan, and eggs. Mix well and spread mixture over squash. 6. Cover first two layers with marinara sauce. Sprinkle mozzarella over the top. 7. Cover your pan with tinfoil and bake for Bake 45 minutes.